Enjoin right and Forbid wrong...! "The failure to attain perception is itself perception." The End…or New Beginning for Egypt? This Day is Yours! Grab it! 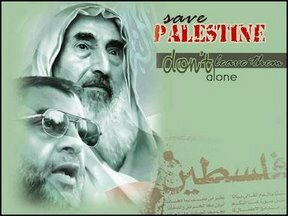 Palestine in our HEARTS always…. Why am I being tested in such a way?? "Do men think that they will be left alone on saying, 'We believe', and that they will not be tested? WE did test those before them, and GOD will certainly know those who are true form those who are false." "So lose no heart, nor fall into despair: for ye must gain mastery if ye are true in faith." News Today: Pick, Pick, Pick! posh on Time for B.M. subtlefortitude on Time for B.M. M24 on Time for B.M. It’s been almost a full year of not updating this blog of mine. This place is just full of invisible cobwebs, aiya! A kind of ‘big bang’ came to me today. You see, my car reached its first ‘birthday’ today. Now, basically in Malaysia, if you own your own car (which you pay the installments on your own! ), it means that you’ve moved to a next phase in life where you can be considered as an independent person. It came to me that it’s been just a little over a year since I started working at the place I’m currently working at – UiTM Machang. Yes, being a content young lecturer teaching English for diploma students. Now, something just drove me to post something after such a long time of abandoning this ‘subtle_fortitude’ fortress of mine. And, I could bet that it’s because having a year being passed makes you REALLY want to go through what you’ve actually been through in such a while before you move on to the next year. Am I right? Well, for the past year, I’ve learned SO MUCH. ALLAH has taught me so many things, give me the opportunity to experience awesome new things, feel new feelings, get to know and be close with SO many wonderful people… all which I didn’t dream I would have known and felt before. Something valuable that I can share today is that for the past half a year or so, ALLAH has given me the chance to feel a certain deep pain that I’ve never felt before. If you ask me to describe it, I can’t actually describe what pain it is. It’s a mix of in-denying self-confusion and the fight to do what’s right. During my undergraduate years, problems were different. They stayed complicated to merely a certain extent; not really complex. But, as I started working, and staying again with my family, there have been so many things to consider. ALLAH wants me to develop inner strength, and yes, gain subtle fortitude 🙂 What I went through would be another entry altogether. So ‘ll stop here. Maturity you cannot gain, without first experiencing pain. This entry was posted on February 28, 2012 at 5:55 am	and is filed under Life's Like That. Tagged: life, no pain no gain. You can follow any responses to this entry through the RSS 2.0 feed. You can leave a response, or trackback from your own site.